Smart bulbs aren’t your average LED. They don’t just sit in a socket and light a room like your basic bulb. That’s boring. FENG HONG Bluetooth smart bulbs can do so much more. 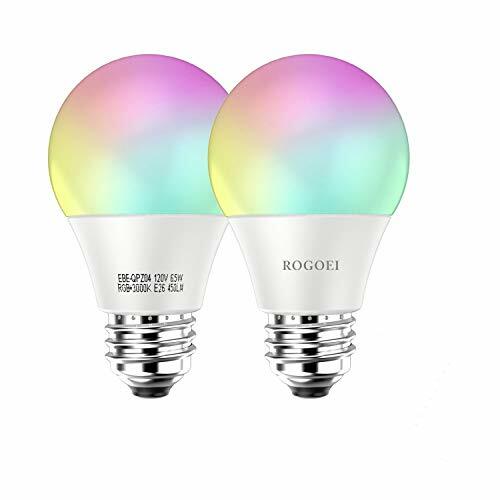 Why do you need this FENG HONG smart Bluetooth LED Bulbs? Want to warm up the feel of a room? Change your light color to a golden yellow. Want to cool it down? Change your light color to light blue. During the parties, you can match the theme’s color with your lighting, and the ability to sync with the music. During the holidays, you can turn your smart bulbs red and green for Christmas, black, red and green for Kwanzaa or blue for Hanukkah. 5. Scene Mode: Colorful palette, warm light, sun mode, default mode, RGB wave and colorful gradually change. 7. Music: Turn on this feature, then lights can change brightness and color with the rhythm of the song while the smartphone playing music. 9. Call reminder: When the phone incoming call, the light bulb can be flashing with the phone ringtone. 4. Open the “living colors” app and the bulb will appear. Simply “Add Device” and you are ready to go! 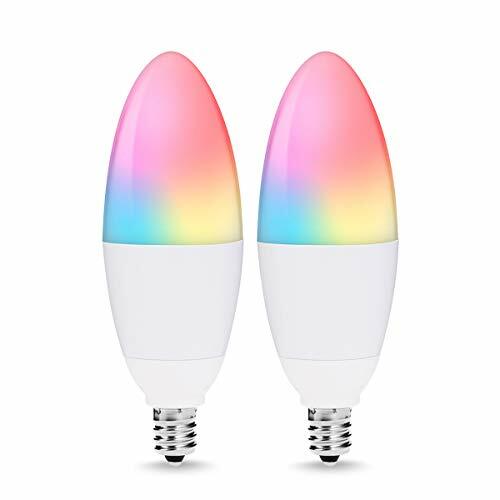 Choose this FENG HONG Bluetooth smart LED bulbs, enjoy your smart life! NO HUB OR BRIDGE REQUIRED – The Bluetooth smart LED light is controllable with a smartphone or tablet at any time within 98.4 foot. You can control LED smart bulbs individually or when grouped. Simply replace your existing bulbs and download the FREE living colors app to get started. MAKING YOUR HOME ARTIFICIALLY INTELLIGENT – Personalize your lighting with a color palette of over 16 million colors and a variety of tons of white, and every color is dimmable. Schedule your smart bulb to turn on or off at the specific time. Wake up in the morning to your favorite colors. Help you sleep better! 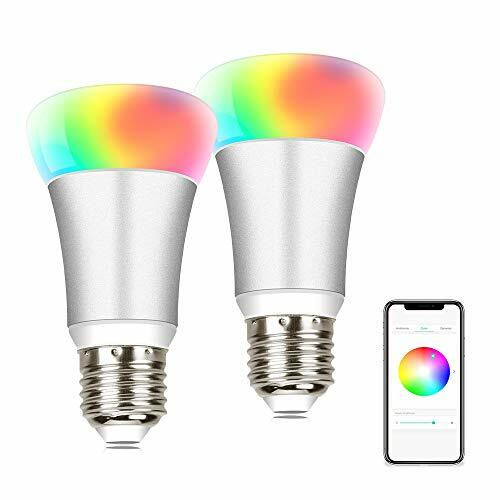 A FUNNY WAY TO ADD ATMOSPHERE TO YOUR HOME – The smart Lighting app includes various presets and effects, colorful palette, warm night, sun mode, RGB Wave, colorful gradually change, and the ability to sync with the music. Sync light to your favorite music and enjoy every rhyme. SAVING YOUR ELECTRICITY BILLS AND TIME – It has a short connection time with a high data rate. From there, it goes into “sleep mode” until a connection is re-established, hence the reason it uses little power. Shake your phone to switch on/off the light or change color. 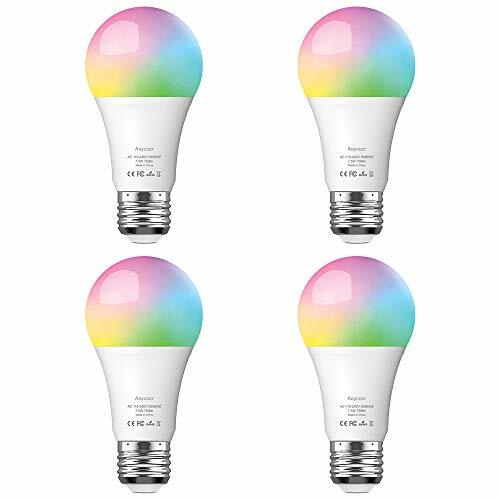 EASY TO USE AND 12-MONTH WARRANTY – Just download the FREE “Full Color Lighting-living colors” app, screw smart bulbs into your standard household sockets – no need for installation by an electrician. The bulb’s service lifetime up to 20000 hours. FENG HONG also provides a 12-month warranty.